Leopold II (German: Peter Leopold Josef Anton Joachim Pius Gotthard; Italian: Pietro Leopoldo Giuseppe Antonio Gioacchino Pio Gottardo; English: Peter Leopold Joseph Anton Joachim Pius Gotthard; 5 May 1747 – 1 March 1792), was Holy Roman Emperor and King of Hungary and Bohemia from 1790 to 1792, Archduke of Austria and Grand Duke of Tuscany from 1765 to 1790. 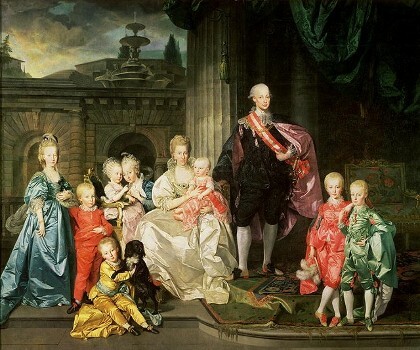 He was a son of Emperor Francis I and his wife, Empress Maria Theresa, thus the brother of Marie Antoinette. Leopold was a moderate proponent of enlightened absolutism. 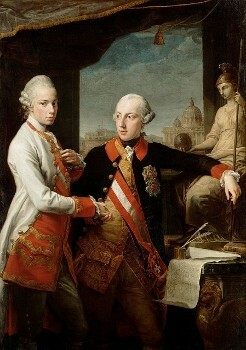 Leopold (left) with his brother Emperor Joseph II, by Pompeo Batoni, 1769. Leopold was born in Vienna, the third son, and was at first educated for the priesthood, but the theological studies to which he was forced to apply himself are believed to have influenced him against the Church. In 1753, he was engaged to Maria Beatrice d'Este, heiress to the Duchy of Modena. The marriage never materialised; Maria Beatrice instead married Leopold's brother, Archduke Ferdinand. 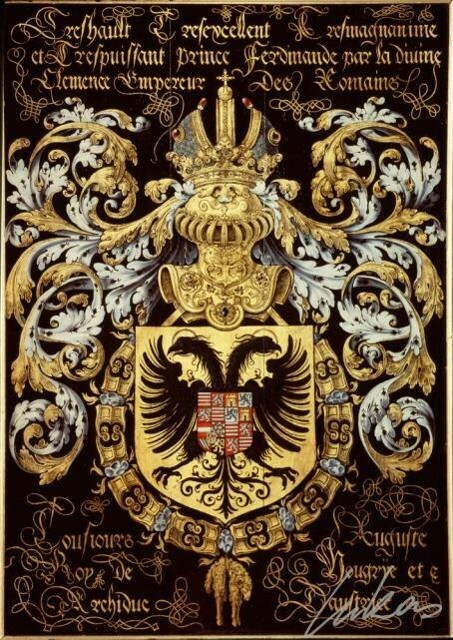 But his steady, consistent, and intelligent administration, which advanced step by step, brought the grand duchy to a high level of material prosperity. His ecclesiastical policy, which disturbed the deeply rooted convictions of his people and brought him into collision with the pope, was not successful. He was unable to secularize the property of the religious houses or to put the clergy entirely under the control of the lay power. However, his abolition of capital punishment was the first permanent abolition in modern times. On 30 November 1786, after having de facto blocked capital executions (the last was in 1769), Leopold promulgated the reform of the penal code that abolished the death penalty and ordered the destruction of all the instruments for capital execution in his land. Torture was also banned. In 2000 Tuscany's regional authorities instituted an annual holiday on 30 November to commemorate the event. The event is also commemorated on this day by 300 cities around the world celebrating the Cities for Life Day. However, Leopold developed and supported many social and economic reforms. Smallpox inoculation was made systematically available, and an early institution for the rehabilitation of juvenile delinquents was founded. Leopold also introduced radical reforms to the system of neglect and inhumane treatment of those deemed mentally ill. On 23 January 1774, the "legge sui pazzi" (law on the insane) was established, the first of its kind to be introduced in all Europe, allowing steps to be taken to hospitalize individuals deemed insane. A few years later Leopold undertook the project of building a new hospital, the Bonifacio Hospital (it). He used his skill at choosing collaborators to put a young physician, Vincenzo Chiarugi, at its head. Chiarugi and his collaborators introduced new humanitarian regulations in the running of the hospital and caring for the mentally ill patients, including banning the use of chains and physical punishment, and in so doing have been recognized as early pioneers of what later came to be known as the moral treatment movement. 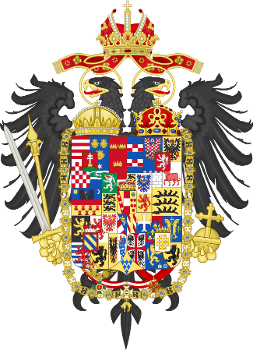 During the last few years of his rule in Tuscany, Leopold had begun to be frightened by the increasing disorders in the German and Hungarian dominions of his family, which were the direct result of his brother's headlong methods. He and Joseph II were tenderly attached to one another and met frequently both before and after the death of their mother. The portrait by Pompeo Batoni in which they appear together shows that they bore a strong personal resemblance to one another. But it may be said of Leopold, as of Fontenelle, that his heart was made of brains. He knew that he must succeed his childless eldest brother in Austria, and he was unwilling to inherit his unpopularity. 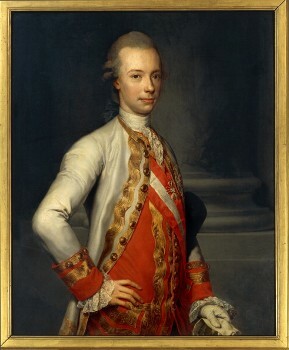 When, therefore, in 1789 Joseph, who knew himself to be dying, asked him to come to Vienna and become co-regent, Leopold coldly evaded the request. 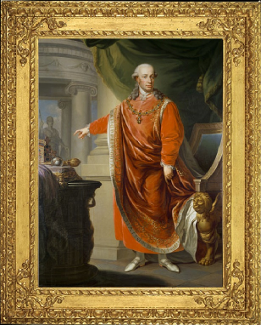 He was still in Florence when Joseph II died at Vienna on 20 February 1790, and he did not leave his Italian capital until 3 March 1790, at midday. During 1791, the emperor remained increasingly preoccupied with the affairs of France. In January, he had to dismiss the Count of Artois (afterwards Charles X of France) in a very peremptory way. His good sense was revolted by the folly of the French émigrés, and he did his utmost to avoid being entangled in the affairs of that country. The insults inflicted on Louis XVI and Marie Antoinette, however, at the time of their attempted flight to Varennes in June, stirred his indignation, and he made a general appeal to the sovereigns of Europe to take common measures in view of events which "immediately compromised the honour of all sovereigns, and the security of all governments." Yet he was most directly interested in negotiations with Turkey, which in June led to a final peace, the Treaty of Sistova being signed in August 1791.